When Canada legalized the recreational use of marijuana, the government set out to drive all black market cannabis sellers out of business. They did this not through more rigid enforcement methods, but by making legal marijuana as cheap, if not cheaper, than buying it from a traditional dealer. This was accomplished by setting the tax rate very low for legal sales of recreational marijuana. On the other hand, when California legalized marijuana, the ballot initiative was sold to many as a way for the state to generate billions of dollars in revenue. While this is certainly true, and a laudable goal, it was accomplished by setting a tax of 15 percent, which is many times higher than the tax rate set in Canada. There is also a separate tax on the cultivation of cannabis set at nine percent, which results in a direct expenses passed on to distributors and consumers as discussed in a recent news article from Forbes. As our Orange County recreational marijuana business attorneys can explain, this amounts to a tax or nearly 30 percent on top of the normal retail sales price of pot, which makes many still likely to buy it from the black market. As discussed in this article, many of those trying to follow the law, are faced with a difficult task of competing with the black market dealers and also the ever-expanding marijuana grey market. It is the licensed business people who must keep detailed records, collect sales tax, pay income tax, make sure all customers are at least 21 years old and follow a whole host of other regulations. Those who are selling black market cannabis do not comply with any of these regulations or pay income taxes in the clear majority of cases, and this means they can undercut the price of legal recreational marijuana and even those in the medical marijuana dispensary business. 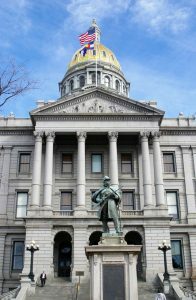 In an attempt to help out those in the legal medical marijuana industry and recreational use marijuana business, lawmakers have proposed temporarily doing away with the cultivation tax of nine percent and reducing the recreational marijuana sales tax from 15 percent to nine percent for the next three years. The hope is it will generate additional legal sales and drive black market competitors out of business for good. It is true that they will be making less tax revenue per individual sale, but with many more legal sales predicted, if the measure passes, the overall revenue will increase on a volume basis. These two taxes are far from the only fees levied that are often passed through to the consumer driving prices up. When we factor in all of the licensing fees and other regulatory requirements, many estimate the consumer is subject to 60 percent taxes on any marijuana products purchased legally, giving even more of an advantage to the black and grey market cannabis industry. This new bill was proposed by bipartisan lawmakers who feel it will not only allow those in the industry to make more money, but reflect a serious reduction in prices in legal marijuana retail establishments, which is the ultimate goal.